Lauded for his detailed portraits of anonymous African Americans, Whitfield Lovell invents histories for the unknown faces he finds in period photographs. Named for the capital of American Samoa, Pago Pago depicts a soldier in a World War II uniform. In a period where African Americans had limited prospects, the military offered opportunities that civilian life did not. This soldier, reclining in a bamboo chair, appears confident despite the inherent risks of military service. 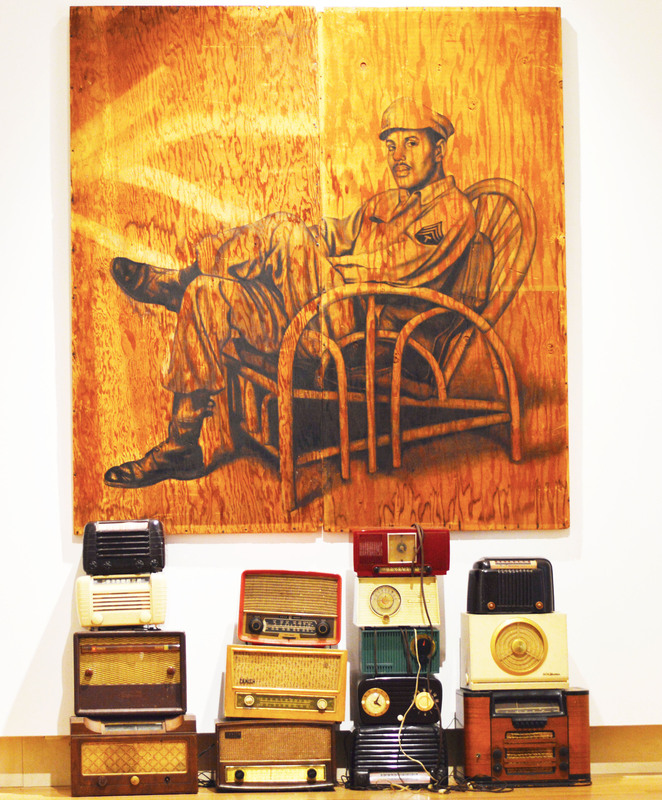 Lovell juxtaposed this image with period Bakelite radios that conceal modern-day speakers, allowing Billie Holiday’s "I Cover the Waterfront" to resonate seamlessly from the piece, and transport the viewer into another era.